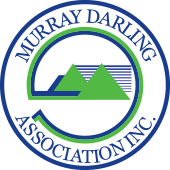 Delegates to the Murray Darling Association 72nd Annual General Meeting held in Dubbo in October 2016 considered a range of motions. Members resolved to undertake actions and advocate on issues of regional and Basin-wide significance. Below is a list of the motions that were considered, actions arising following the meeting, and responses received. Full details of the annual general meeting are recorded in the Agenda and Minutes. MDA addressed and presented the project to the MDBA, all Basin State water ministers, the Federal water minister, the Department of Agriculture and Water Resources, the Department of Environment, and a number of LGAs, listed in board meeting minutes. Support in principle for the project was high, but advocacy for this project commenced in late 2016 – early 2017. This coincided with the MDBA’s 2017 assessment of the Basin Plan, which has imbedded within it a requirement to report on the social and economic impacts of the Plan. MDBA and governments advised that they were reluctant to fund the project, given they expected similar work by the MDBA to be running concurrently. In August 2017, the MDA was contacted by an independent consultant tasked with reviewing the pilot with a view to capturing any learnings from the program to propose any improvements to an enduring model. The MDA has received much feedback from members councils on the varying levels of satisfaction across the program, and was able to provide a comprehensive assessment and recommendations to the review. In February 2017 the board of the MDA met in Adelaide to develop the 2017 Workplan. The Senate Select Committee inquiry on the Murray-Darling Basin Plan presented its final report on March 17, 2016. The majority report made 31 recommendations addressing issues that are of great importance to farmers and communities throughout the Murray-Darling Basin and other stakeholders. The Committee received almost 400 submissions to this inquiry. 5.14 Blue Green Algae Carried The MDA has addressed this matter in discussions with Federal Minister for Agriculture and Water Resources, listed in board meeting minutes. 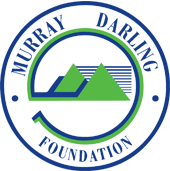 That Murray Darling Association has, by virtue of the above motion has expressed full support for the initiative aimed at securing adequate safe domestic water for rural and remote regions in the Basin. There have been no specific opportunities presented in 2017 to work collaboratively with the Institute for Land Water and Society (ILWS) at Charles Stuart University (CSU), the SEGRA Foundation (SEGRA) and other research partners, to the mutual benefit of member Councils. 5.18 Standard river height measurement Lost Note: Some delegates expressed confusion/misunderstanding as to what AHD (Australian Height Datum) means, and how it is measured.